The copy cat nature that all toddlers develop has very much arrived with Baby Z. I didn’t realise just how closely he has been paying attention to mine or my husband’s actions until we watch him do the exact same thing, down to the tee! The most amusing copy cat moment occurred just the other day when I had to get ready to go out and had my makeup items splayed around me. As I was applying my eyeliner in the mirror, I caught sight of Baby Z behind me playing with my makeup. Upon closer inspection, I realised that he had a tiny brush that I use to apply my eye shadow and was using it meticulously on his eyes, without any product of course. He then picked up my blender and began buffing his entire face, not missing out the chin and crucial under eye area. My mouth was wide open. How many times must he have seen this? How closely was he watching as I applied my foundation and eye shadow to be able to copy my actions so well? As I saw him reach for my lipsticks, I stopped him right there. Let’s not get too carried away there, little fellow! 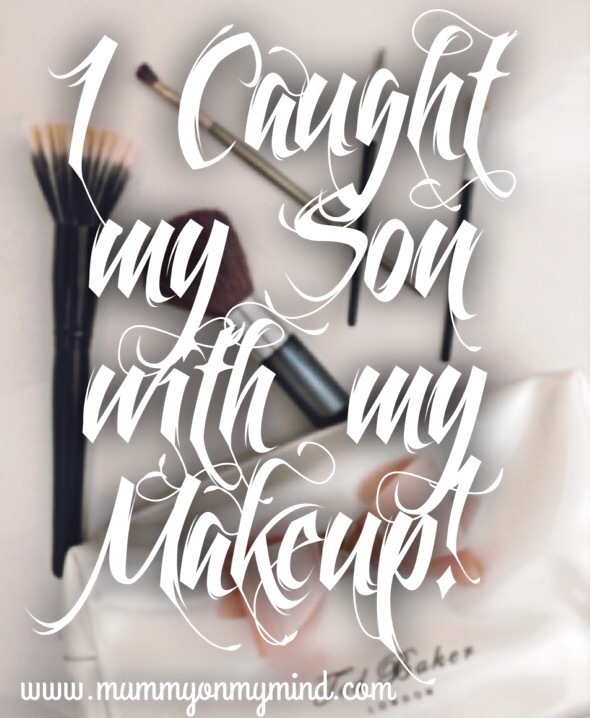 My husband and I had a good laugh about it, and of course I am not at all worried that I may have caused some kind of gender confusion in my little son, scarring him for life because I let him play with my make up when he was a toddler. Funny, yes. Life changing, no. Because you see, just as precisely as he puts on my makeup, he has also learnt to pray namaz beside me. Seeing him prostrate and whisper under his breath, (gibberish of course, but its all in the details!) as well as lift his first finger after Sujood as I do, and of course ending with Salams on both the right and left side, though he gets a little carried away and does this about four or five times. It is utterly heart warming. Yes, of course his minuscule attention span means his prayers can last anywhere between 2 minutes to 30 seconds, but the way he brings out his prayer mat as soon as he sees me spreading out mine is so adorable! Apart from being highly entertaining, it also makes me so cautious as a parent of my actions not only towards him but also how I generally behave around him. Setting a good example has never been more important, and I just hope I can teach him a few good things that will stay with him forever. Haha…my boy is here busy cooking..He always wants the kitchen utensils in spite of having all that toys..and I am amazed at the way he handles it all..exactly mimicking the way I cook..
Aww that is so cute! It really is amazing how well they manage to pull it off when we wouldnt really expect them to! this is so sweet Zeyna, but don’t be worried about gender confusion, he’s just probably mimicking whatever he sees in you and his daddy, toddlers are good at it and so much interested in everything. Thank you! Yes he is definitelt veryyyy interested in everything that I do at the moment! Haha! I love this story. So sweet about the praying. We don’t realise what sort of example we are setting until we see our kids replicating our actions. Helps us to be better parents. Thank you for the lovely comment, and I agree it really helps us become more self aware and in turn better parents! Haha oh wow! I must say, they are rather good at the art of make up too for such a young age!! Haha! Kids are so cute and so endearing. Your words about being a good example are so truthful, especially when raising a toddler! Thank you, I’m glad you enjoyed the post. Its crazy you dont really think about these things and then once your baby turns older, its as if the responsibilities get bigger too! That’s a cute story! I think they learn so much by looking at us that we have to be on our guard at all times. Haha yes on guard 24/7 for sure! Really makes you so much more self aware!! Haha oh nooo not the walls!!! Nice post! Similar things happen in our household too, my son is fascinated by colors of lipsticks :). Very true, they are watching us all the time and that’s how they learn more. Thank you! Haha I can imagine! Yes, they are alwaysss watching us! So true. Kids watch us all the time from every angle.